Property Location With a stay at WoodSpring Suites Phoenix I-17 North in Phoenix (North Mountain), you'll be within a 10-minute drive of Grand Canyon University and Castle N' Coasters. This hotel is 10.5 mi (16.9 km) from Talking Stick Resort Arena and 10.6 mi (17 km) from Westgate Entertainment District.Rooms Make yourself at home in one of the 121 guestrooms, featuring kitchens with full-sized refrigerators/freezers and stovetops. 34-inch flat-screen televisions with cable programming provide entertainment, while complimentary wireless Internet access keeps you connected. 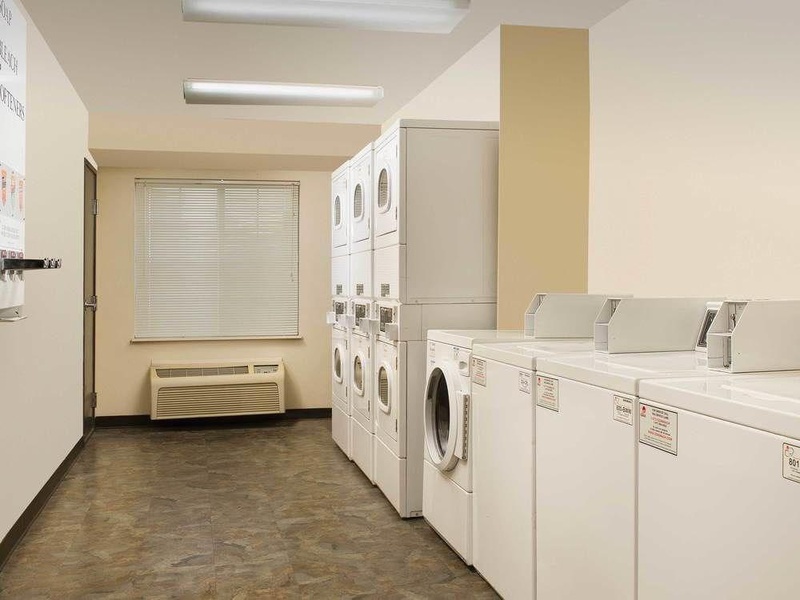 Conveniences include phones, as well as desks and microwaves.Amenities Make use of convenient amenities, which include complimentary wireless Internet access and a vending machine.Business, Other Amenities Featured amenities include express check-out, laundry facilities, and an elevator (lift). Free self parking is available onsite. Close to highway. Easy to get to downtown. Lots of shopping. Easily accessible by car and close to shopping areas. Service could be improved. Dishes including. Paid for 2 weeks. Great rates. Excellent water pressure in the shower. Clean towels. They have a small kitchen. Terrible customer service. Rude staff. Front desk is rude. Air conditioner was not working. For 3 days Loud. Flimsy pillows.